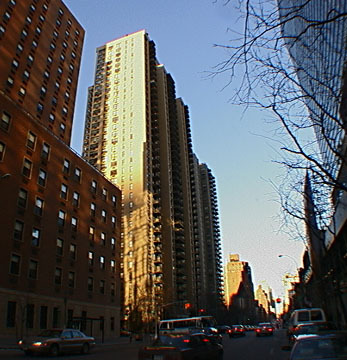 This free-standing rental apartment tower is known as the Stratford and was built by Glenwood Management. 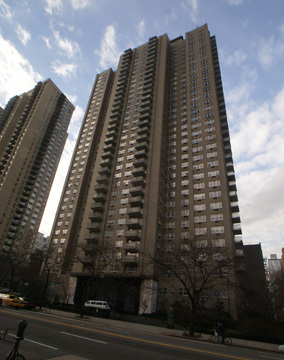 This building has an address of 1385 York Avenue and is also known as 433 East 73rd Street and 492 East 74th Street. 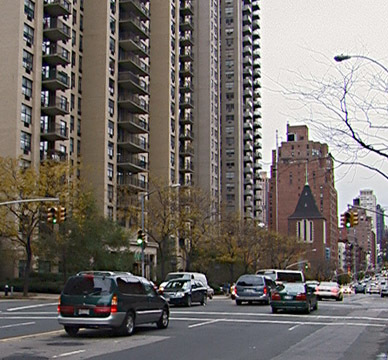 It has 286 units and is two blocks north of Sotheby's, the auction house. There is cross-town bus service at 72nd Street. The 36-story building has extensive and lush sidewalk landscape with several fountains, a curved driveway, a 24-hour attended garage, a 24-hour doorman, a rooftop health club with pool, a windowed laundry facility, a resident's lounge with kitchen, and a monitored service entrance. The building, which was erected in 1969, has many balconies and valet and maid service is available.